The ideal access solution for all internal applications - education, healthcare, leisure, retail & catering etc. The Alumatic® and Alumatic® LITE are fabricated from aluminium alloy 6063 and 6082 for low corrosion, brass or aluminium edging for a superior finish and have a number of unique features to improve not only appearance but also performance. Products are designed to maintain maximum structural strength whilst achieving best in class appearance and vary to suit specific style of infill and frequency of operational usage. All products feature a replaceable primary dirt seal to prevent the ingress of dust and dirt. 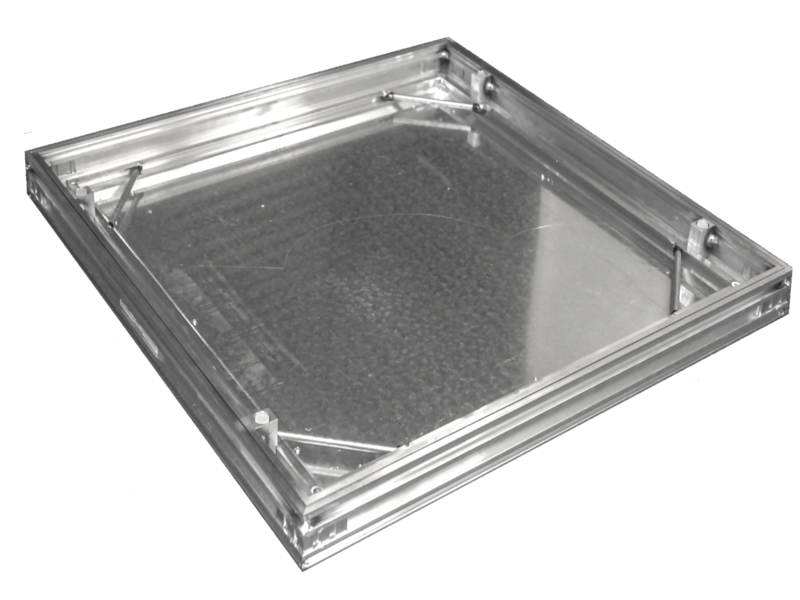 Alumatic® products feature a secondary neoprene seal to prevent the ingress/egress of gas, air and water. Complete gas, air and water tightness is achieved through utilising the additional integral inner grease seal. In addition to the primary dirt seal, Alumatic® LITE feature two inner replaceable neoprene seals as standard. Products are designed to achieve specific loadings as specified ranging from 7.5kN (Pedestrian), 1.5 tonnes Pedestrian, 2.5 tonnes Slow Moving Wheel Load and 5.0 tonnes slow moving wheel load (when fully filled to spec with C40 grade concrete). As an option covers can be fire integrity rated for up to 2 hours in accordance with BS476. All variations to the standard specification can be accommodated. Please logn using the 'Customer Login' (left) where you can download the brochure for future reference. by using the contact details below.